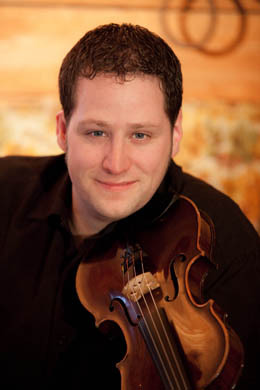 Join us for a rousing evening of fiddle magic steeped in talent and tradition: the 25th annual Freight Fiddle Summit. You’ll be in excellent company with host Alasdair Fraser & cellist Natalie Haas, Quebec’s thrilling De Temps Antan, Mairéad Ní Mhaonaigh & Ciarán Curran of the brilliant Irish band Altan, Nic Gareiss, and Cali MacKasson. 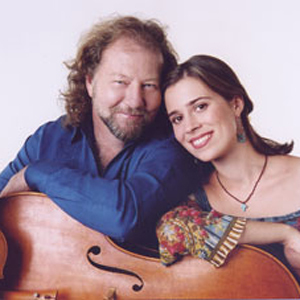 Individually, Alasdair Fraser & Natalie Haas are consummate musicians. Together, they’re pure magic. Scots Magazine has called Alasdair “one of the finest fiddle players Scotland has ever produced; his name is synonymous with the vibrant cultural renaissance transforming the Scottish musical scene.” Natalie is one of the most sought-after cellists playing traditional music today. She’s toured with Mark O'Connor as a member of his Appalachia Waltz Trio and played as a guest artist on over 50 albums, including those of Irish super-group Solas. When Alasdair and Natalie collaborate, listeners tend to go a little crazy. They just can’t help but gush. In the words of the Boston Globe, “you would think they’d been playing together for centuries. While his fiddle dances, her cello throbs darkly or plucks puckishly. Then she opens her cello’s throat, joining Fraser in soaring sustains, windswept refrains, and sudden, jazzy explosions. Their sound is as urbane as a Manhattan midnight, and as wild as a Clackmannan winter.” Don’t miss this dazzling duo as they reinvent the classic coupling of fiddle and cello, showcasing an intuitive connection and a collective musical genius that brings together the best of tradition and innovation. De Temps Antan—which roughly translates as From Bygone Times—is a band made for wild applause. Their music digs deep into its French, Irish, and Scottish roots with a sound that’s fresh, contemporary, and full of life. Since 2003, Éric Beaudry, André Brunet, and Pierre-Luc Dupuis have been performing time-honored melodies from the stomping grounds of Quebec’s musical past. Playing fiddle, accordion, harmonica, guitar, bouzouki, and several other instruments, including their feet, these three virtuosos bring boundless energy and unmistakable joie de vivre to the traditional music of their native land. 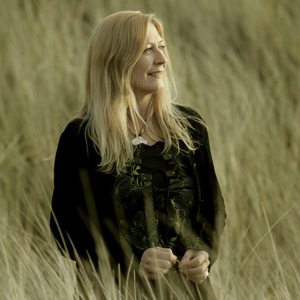 Mairéad Ní Mhaonaigh & Ciarán Curran are original members of Altan, one of the most popular Irish folk groups in the world. Since their debut album in 1987, the band has sold more than a million albums and helped popularize the Irish-language traditional music of County Donegal. Mairéad sings like a dream and plays fiddle, and Ciarán, a native of County Fermanagh, plays bouzouki. They’re both superb musicians. Michigan native Nic Gareiss is, according to the Irish Times, “the human epitome of the unbearable lightness of being,” and “more fleet of foot than an Olympian sprinter and more buoyant than a helium-filled balloon” – his “freeform flight is inevitable.” Which is to say, he dances! Cali MacKasson is an award-winning pianist and harpist who studied with Cape Breton pianist, Barbara MacDonald Magone, and has played with the Boston Symphony Orchestra, the New World Symphony Orchestra, and the Tacoma Symphony.